Antiphospholipid syndrome (APS) is an autoimmune blood clotting disorder that may cause recurrent miscarriage or stillbirth as well as other serious problems like strokes, heart attacks and blood clots in the lungs (pulmonary embolus) and/or legs (deep vein thrombosis). APS also causes a number of other problems, including neurological disorders such as severe migraines, memory loss, dysautonomia and seizures. APS presents most often in people under the age of 50 and it may also affect children. Dr. Schofield at the Center for Multisystem Disease received specialty training in rheumatology, thrombosis, and neuroimmunology and has extensive experience treating both the thrombotic and non-thrombotic manifestations of APS. If you have questions about APS, call the office in Denver or use online booking to schedule an appointment. Sticky blood tells you what happens in patients with APS. Their blood is like sludge and doesn’t flow properly. It is like running old oil through your car; it does not work as well. APS, which is most often diagnosed in your 20’s to 40’s, develops when your immune system produces antiphospholipid antibodies. These autoantibodies affect the normal clotting processes, leading to sticky blood and an increased tendency to form blood clots. Primary APS, occurs without the presence of another autoimmune disorder. However, APS may also co-exist with other autoimmune disorders, most commonly lupus, but also Sjogren’s syndrome, autoimmune thyroid disease, and celiac disease. APS may result in multiple health problems, depending on which part or parts of the body are affected. What pregnancy complications develop due to APS? Antiphospholipid antibodies are especially dangerous in pregnancy. In fact, APS is recognized as one of the most common causes of recurrent miscarriage, especially late miscarriage. What blood vessel complications develop due to APS? Blood clots in unusual places may also occur in APS, including blood clots in the blood vessels going to or from the kidneys or to the legs or intestines. What are other health problems caused by APS? As circulation is disrupted, you may develop livedo reticularis, which is a mottled, purplish discoloration of your skin that looks like a giraffe pattern. It most often develops on the legs and arms and is usually more prominent in cold temperatures. Your small blood vessels may spasm in response to the cold resulting in your fingers or toes transiently turning blue or white and feeling numb. In some patients, APS leads to thrombocytopenia, or low blood platelets. APS may be treatable with medications that thin your blood. Treatments that modulate the immune system might also be recommended in some cases. 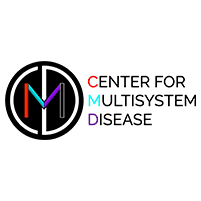 To receive expert care, call the Center for Multisystem Disease or book an appointment online.